An online fundraiser for Zoey, a chocolate lab who was allegedly shot in the face in Eliot, has raised more than $4,000 by Thursday afternoon. 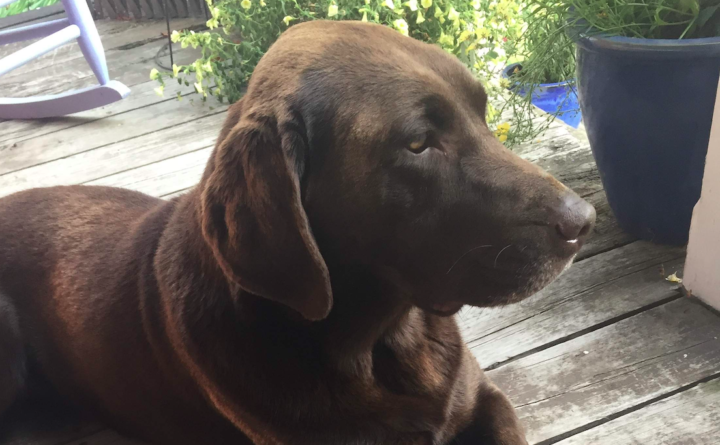 ELIOT, Maine — An online fundraiser set up to help with medical and recovery expenses for a chocolate lab shot in the face last week by Thursday afternoon had already raised nearly $4,000. Now the case of six-year-old Zoey is a police matter, which has been referred to the York County District Attorney’s Office for review and possible prosecution. The family dog returned to her owners’ house last Wednesday after a short stint outdoors bleeding profusely from her mouth. No suspect has been identified publicly. The incident is believe to have occurred in the Frost Hill Road area, and was investigated by the Eliot Police Department. 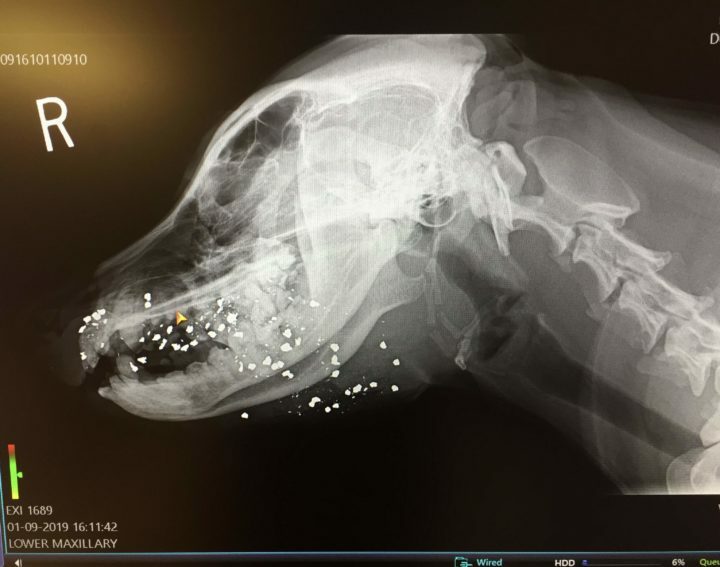 An X-Ray of Zoey, a chocolate lab allegedly shot in the face last week in Eliot, shows the damage suffered by the dog, her owner says. According to police, Zoey was taken to an emergency veterinarian and it was reported that she was shot in the face. Zoey survived and will have to be on a feeding tube for many months, said Eliot resident Jennifer Himmer, whose parents own Zoey. Friends are working to make purple bandanas as a tribute to Zoey, and to raise awareness of animal cruelty. Once Zoey’s hospital bills are paid, the remaining funds will be donated equally to Cochecho Valley Humane Society and the NHSPCA.